Looks like we're going to have to make do with a beta for longer than some of us had hoped, Blizzard this morning said that Diablo III won't be hitting computers until early next year. "With every game we make, the temptation is always very strong to launch as soon as possible. However, we didn't put so many years of work into Diablo III to release a game that was almost ready," said Mike Morhaime, CEO and co-founder of Blizzard Entertainment. "The beta test is going very well, and we look forward to making the most of the extra time we're taking to deliver an experience that lives up to our vision for the game and the expectations of our players. Next year is going to be an incredibly busy one for Blizzard, and we hope an incredibly fun one for Blizzard gamers." In a blog post on the official site, Morhaime talks a bit more about the decision to delay the game's release saying that "no matter how hard we're working to reach a target, we're not going to compromise and launch a game before it's ready." The decision came after Blizzard pulled all of the teams together to decide whether the game would be ready before the end of December, grudgingly, he writes, they came to the conclusion they wouldn't be. "Ultimately, we feel that to deliver an awesome Diablo sequel that lives up to our expectations and yours as well, we should take a little more time and add further polish to a few different elements of the game," Morhaime wrote. The upside is that they can use the extra time to extend the Diablo III closed beta test. That also means they may also be adding more testers than they original thought they would need. In other words, now is a good time to make sure you have opted in for the beta on your Battle.net account. Additional testing phases, as well as further details regarding the launch plans for the game, will be announced on the company's Diablo III community website, according to the press release. One final, important hygiene note, Morhaime himself has issued an official reprieve to all Diableard participants, including his own employees. 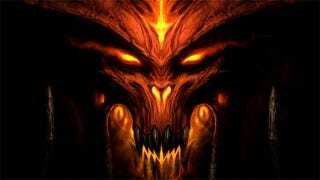 If a Train is Traveling 80 MPH, And the Internet is At 1Mbps, When Will Diablo III Crash? Diablo III is a joy on a desktop. It's even fun to play on a Macbook Air. But how will Blizzard's online-only dungeon crawler fare while played on a train traveling 90 miles an hour down New York's Harlem Valley using a Sprint 3G card? Hell Yeah! The Diablo III Beta Is A Go! Hurry! To the Battle.net account! Blizzard Entertainment has just dropped word that the long-awaited closed beta for Diablo III has begun and that the developer has "started issuing the first wave of invitations to participate in the testing process."